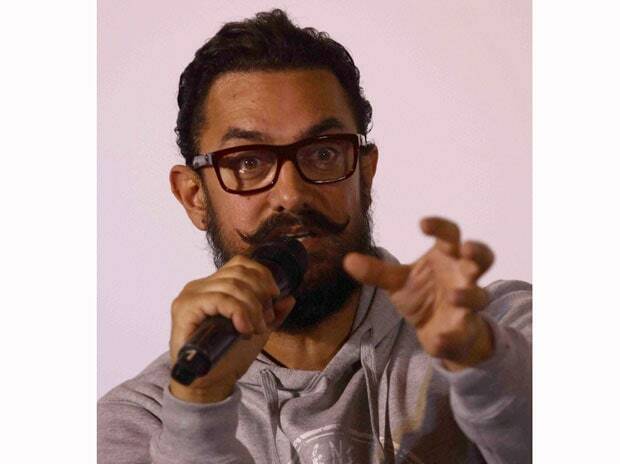 Bollywood heavyweight Aamir Khan will be the face of three brands this Indian Premier League (IPL) season. He will be seen selling the wares of Vivo, the title sponsor of the league, digital payments company PhonePe, and shoe brand Walkaroo. Vivo appointed Khan as its brand ambassador in March 2018, while PhonePe made the announcement on Wednesday, days ahead of the launch of this year’s IPL. PhonePe is also the lead on-air sponsor of the IPL, which airs on the Star India network and Hotstar. The three brands together are expected to spend nearly Rs 250 crore during the IPL this year. While Vivo pays the Board for Control of Cricket in India (BCCI) Rs 440 crore annually for the title sponsorship of the league, it has also bought inventory on the Star network, and is expected to spend nearly Rs 100 crore on TV, digital, and on-ground promotions this season. PhonePe, on the other hand, has brought on Khan as its first-ever celebrity endorser. The four-year-old digital payments platform will release a slew of communication material across traditional and digital media to take its marketing strategy to the next level. It started advertising through TV campaigns last year, and was also associated with the IPL in 2018. It was part of an integration on Hotstar’s Watch ‘N Play, a gamified feature created for the IPL. The feature allows viewers to predict the outcome of the next ball or over, and win prizes. This year, PhonePe’s focus is advertising on TV. PhonePe has ramped up its association with the IPL and is one of the leading on-air sponsors. It has earmarked Rs 500 crore in annual marketing spends. “This year, our focus is customer acquisition. We want to get the customer who uses YouTube and WhatsApp, but does not transact online yet. That’s also why we are leading with a TV campaign this year, while last year, we led with communication on Hotstar,” explains Sameer Nigam, founder and CEO, PhonePe. On choosing Khan as the face, he says the company wanted someone who has mass appeal and credibility, and Khan fit the bill. “His name is synonymous with sincerity, hard work and dedication to his craft. These are values that are completely in sync with PhonePe’s ethos of trust, security and reliability. Therefore, we felt that Aamir is the perfect brand ambassador for our company as we look to introduce digital payments to a billion Indians,” Nigam says. Khan’s association with PhonePe is for a year. The third brand that the Dangal actor will be seen endorsing this IPL season is Walkaroo. Sources reveal that the actor has signed the shoe brand which will also launch its television campaign around the IPL, though it may not directly spend on the IPL as a sponsor. Endorsing more than one brand at a time is a departure for Khan, who has famously maintained he would prefer endorsing one brand at a time. He has earlier been the face of brands like Snapdeal, and Godrej Realty.